Facebook for iOS has received a major update, including a slew of new features including Chat Heads, a feature already available on Android. Facebook for iOS is up to version 6.0 and you can download the update on your iPhone and iPad today. The update brings with it new features that we have already seen on Android and the browser version of the social networking website. First up, we have chat heads. 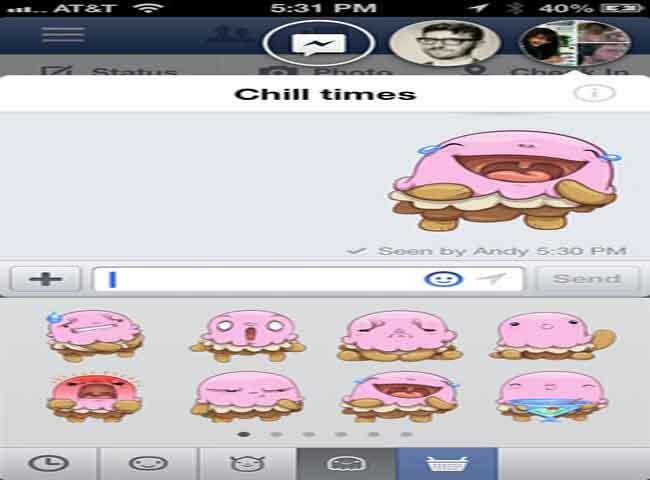 Just like the Android version, these are chat bubbles that you can drag anywhere on the screen and use to chat with multiple people at the same time. Because iOS is so restricted, the chat heads don’t appear on the home screen and can’t be accessed when you are using any other app. If you are using the Facebook app, you can have the chat heads on anywhere and it works the same way as it does on Android. 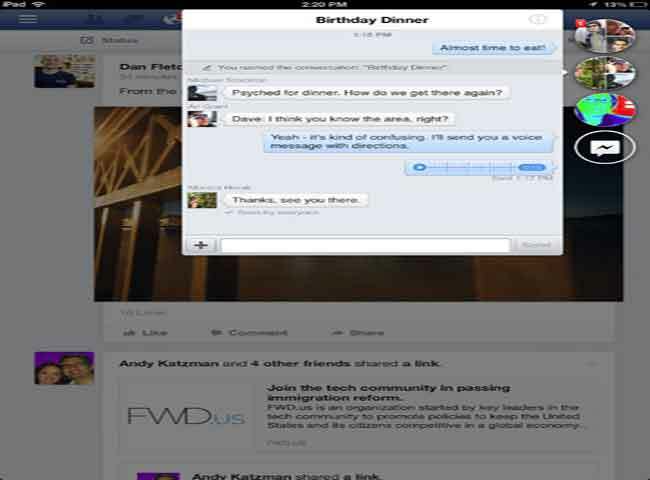 The Facebook Messaging app on iOS doesn’t sync the SMSes like the Android version. Next up, we have stickers. Stickers are available on the iPhone but not on the iPad version of the app. Essentially; they are big, cute pictures you can send with a single tap, similar to the smiley faces and other images already present in the app. The only difference being that the stickers is bigger. Last but not least, the news feed on the iPad has seen some improvement too. It is a lot cleaner and your friend’s avatars are broken up which means that each story feels distinct and there is a noticeable gap between two stories, which is a nice thing. 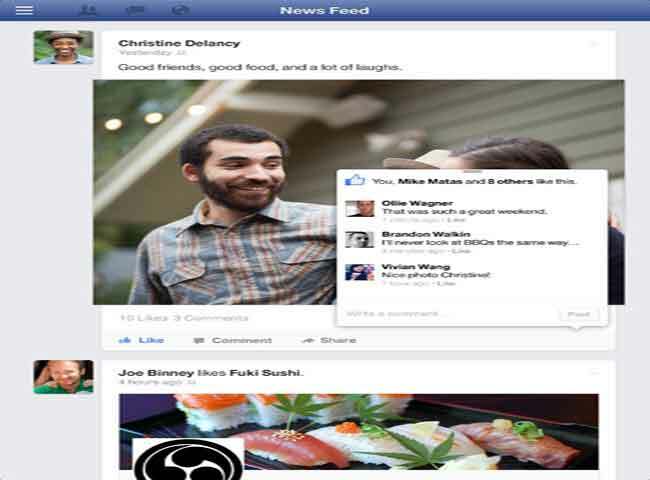 The images and content in the news feed looks bigger and is easier to read and comprehend. You can download the latest version of Facebook from the Apple App Store here. 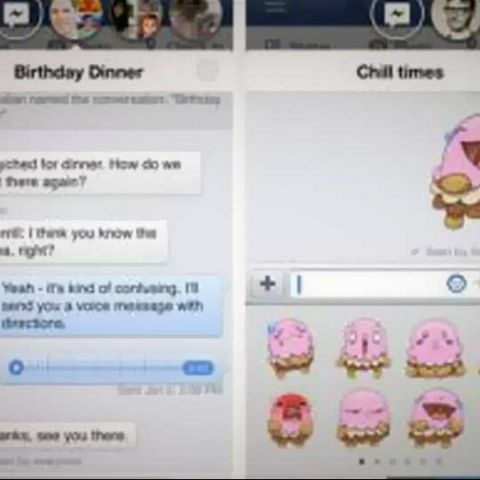 Recently, Facebook announced Facebook Home, an Android skin that makes your smartphone more Facebook friendly. 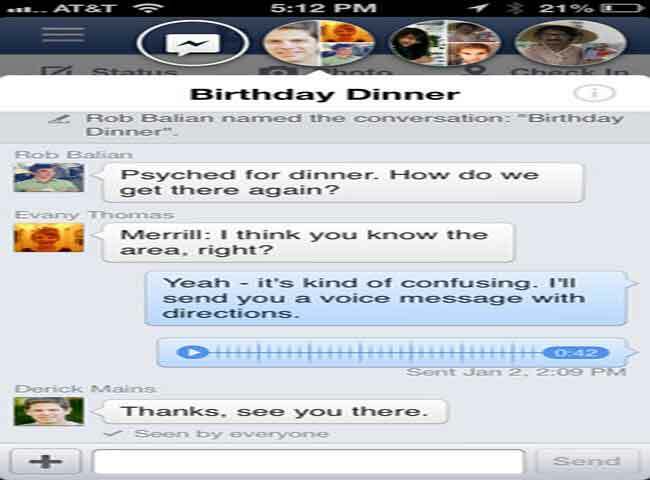 You can check out the complete details of Facebook Home here. Facebook Home isn’t available to everyone. If you are in the US and using the HTC One X, HTC One X , Samsung Galaxy S III or the Samsung Galaxy Note II, then you can download Facebook Home from the Google Play store. If you are in a country where Facebook Home isn’t available, worry not as there is a workaround. You can take a look at the details of the work around here. Rumours have also been circulating the Internet, which suggest that Facebook is in talks to bring Facebook Home to iOS as well as Windows Phone. These rumours have however been shot down by various sources on the Internet.